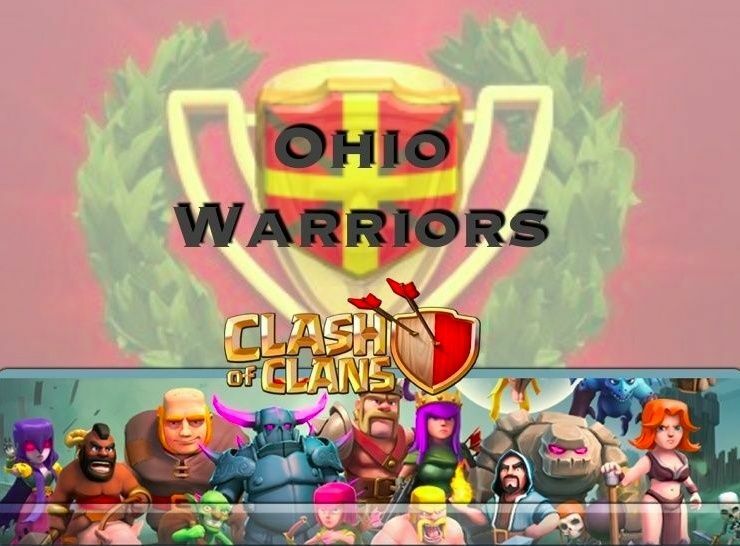 On 12-28-2014, hostilities ceased between the Ohio Warriors and the Select Warriors, and the conflict ended in a draw. We have had one other draw in our history, and it’s always tough to know how to view a draw. On one hand, we faced a slightly superior opponent and did not lose. But on the other hand, we had many opportunities to win the war, and were in position near the end to seal the deal, as the Select Warriors were out of any viable attacks. However, as with any clan war, we can take away a good deal of learning points from our performance. First the stats: They used 54 attacks to our 56, and won 51 attacks to our 48. Our average destruction was 86.7% while theirs was 86.2%. We averaged 1.27 new stars per attack while they averaged 1.31 new stars per attack. The Select Warriors had 8 defends, while we had only 3. The bases indicated a tougher war for us as well. Select Warriors had 1 TH10, 5 TH9’s, (that’s 2 more top tier players than we have) 14 TH8’s, and 10 TH7’s. They had NO bases below a TH7. By comparison, we had 2 TH10’s, 2 TH9’s, 15 TH8’s, 9 TH7’s, 1 TH6 and a TH5. Unfortunately, CoC had an upgrade on Monday night, and we lost all replays from the war. This is most troublesome from an analysis standpoint, but I will do my best to point out some of the memorable observations from the war. Several events were memorable, but more importantly the timing of our second day strategy was most notable. Execution: Our execution was not the best in this war. As many of us start to move away from all-dragon attacks, we know there are going to be some growing pains. Conversion back to a ground game after months of performing well with dragons is very difficult, but also necessary. I would like to offer these quick points: Level 5 wizards really should be your staple for delivering destruction. But you cannot ever hang wizards out to dry without some type of high hit point troop to take the fire. If you don’t have golems to do this then you need to probably be using good old level 5 giants with healing spells. Deploying your most valuable destroyers onto the battlefield alone, into the teeth of the enemy is a sure-fire way to lose. We had another instance of a player going into battle without clan castle troops I am told. I’m getting tired of this. Elders, you need to speak up when you see this. Another problem we saw was the deployment of mismatched troops. Some troops work well together, others do not. We have a STRATEGY topic on this forum. If you are having trouble with your war attacks, set the pride aside, and ask somebody for ideas. Get on the forum and read, and ask questions about strategy. We have this forum for a reason. Let’s use it. The Select Warriors were not the best attackers. We really had their number at the end of the war, but because of miscues we were not able to seal it. For the most part we did well staying close to our number on the war map. TH7’s did a very good job as well with their dragons. Overall War Strategy: This is where we failed. We had too many unusable attacks on Sunday. This is because the middle and lower tiers did not expend their attacks early enough and had too many 2nd attacks spill over to late Sunday. This might not seem like a big deal, but strategically it is. We want for the highest players to have those Sunday attacks to clean up and harvest stars. The reason is, if you watch the progression of a war map, the stars fill in from the bottom, up. At some point during any particular conflict, the available viable stars go above where you can get them. That means you’re out. Once that last guy you COULD have taken gets taken, you no longer have any viable production. The problem obviously, is WHO takes that last guy who YOU could have taken. If it’s a player higher than you, then that was a wasted resource. This is a macro-view of the execution of war. The Leadership Council has convened and discussed this issue at great length, and has agreed that the TH7's and below, need to have BOTH attacks completed by Sunday morning. Additionally, we need to have our TH8’s, including our high end TH8’s use at least ONE attack on Saturday. This will allow for better overall execution and management of the war map. We DO NOT want TH7’s and the low TH8’s saving a 2nd attack until 1 hour before the war ends. Options for attacks at this point in the war are severely limited, and contributions to the war effort are in jeopardy this late in the war. Let’s get the bottom and middle of the war map wrapped up as soon as possible so we can manage the harvesting of stars at the end with our top tier. This would be how a disciplined clan would operate. We are aware that it’s not always going to be possible to do this with work schedules, and other planned events. However, this will be our general rule to follow. Ie, if you’ve got nothing else going on, try to get it done and adhere to this concept. We’re not kicking anybody over this, but you need to be trying your best to be following it. War Bases: Our war bases are starting to get good. They only 3-starred 4 of our TH8’s, and did not 3-star any higher than #15. That’s not bad. We don’t have replays unfortunately, but obviously we are seeing improvements in that area. Unfortunately we had one base that did not get corrected before the onset of the war, and that base was in fact 3-starred. If you're trying to trick the opponent by showing them something different on prep day, make sure you get it switched back before battle day starts. Let’s try to keep getting better and improving our skills. We are very good, and even though we were technically outmatched in this war statistically, I believe we were the better clan. As always feedback is welcomed and encouraged. Keep it civil. Can I get back into the clan? Sure ebauch. Where do you need the trophy count? Just click join and we will accept you. Can you lower it to 900 please? Ok buddy. Trophy count is down. Well, I spot checked our opponents, and found that generally speaking their bases were stronger than ours, but we had higher level troops across the board. Thanks for doing the research. I may delegate that position to you for every war. Rhanks! !